PRAYER PROMPT ••• The phrase “hitting rock bottom” has a certain connotation to it, don’t you think? I tend to associate it with a person dealing with substance abuse, but in truth, “hitting rock bottom” can relate to many situations. It’s for anyone who has no where left to go. They are at the point of desperation and despair. Know anyone who has been (or is in) this situation? I’ve never been in the “hit rock bottom” phase as the world may see it, but I’ve felt extremely isolated in the past. I’ve been in situations where I felt like I was standing still while the world moved on ahead of me and I wasn’t sure where to turn. As overwhelming as things may be at time and as far removed as we may feel – we are never out of reach of a Redeemer. When Jesus Christ’s arms were stretched out wide on the cross, those arms bore the weight of our collective sins. Those are the strongest arms ever to exist and they are strong enough to pull the most hopeless person back from the very deepest and darkest places. All we have to do is call out to Him. He will be there and always will be. Today, as you pray, thank Jesus for being strong enough to save us. 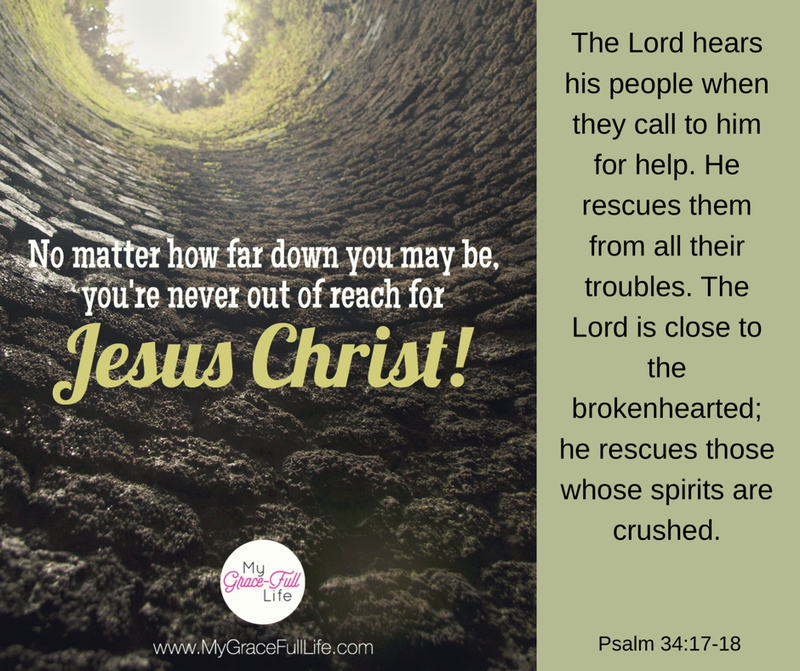 Thank Him for His rescue and if you are at the end of yourself, trust in Him to pull you up. If you will grip His hand, He will never, ever let you go. Next Next post: 8.17.17 Prayer Prompt: Are You Focused on the Son?